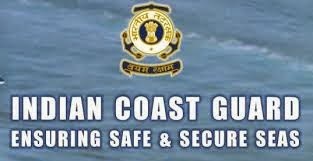 The Indian Coast Guard, an Armed Force of the Union, offers a challenging and inspiring career in various branches as a Group ‘A’ Gazetted Officer in the rank of Assistant Commandant at pay scale of Rs.15600-39100 with Grade Pay Rs 5400. Qualifications:Should hold a Bachelor’s degree of recognized university with minimum 60% marks in aggregate. Mathematics and Physics as subject up to intermediate or class XII of 10+2+3 scheme of education with 60% aggregate marks of both subjects. Age limit:01 Jul 1990 to 30 Jun 1994 (both dates inclusive). How to apply: Interested and eligible Candidate should Apply Online.Applications will be accepted only 'Online' from 26 May to 05 Jun 2014.